Black is a great color for anyone to wear and it’s really popular this year. I love a good black dress for the fall. I found a simple black casual dress from a store called Bealls and I want to share with you different ways you can style a simple piece. There are endless options to styling a black dress. Layering is great way to style a black dress. I added this cute burgundy moto jacket from Francesca’s and some black heels to dress it up. I am wearing a size small in the jacket and it’s under $60. It goes perfect with a top and jeans as well. It could be paired with some booties or OTK boots during the winter. You can also add a simple cardigan in any color with some boots. Another way to layer is by adding a sweater over top the dress. There are endless shoe options with a black dress. You can put on a pair of black or leopard heels and dress up the look. You could also throw on a pair of flat leopard mules like mine from Gap Factory. OTK boots or short booties can also go really well with a black dress for a fall look. There are so many different options and ways to style a casual black dress. Hope you all enjoy your week and have a great Halloween! 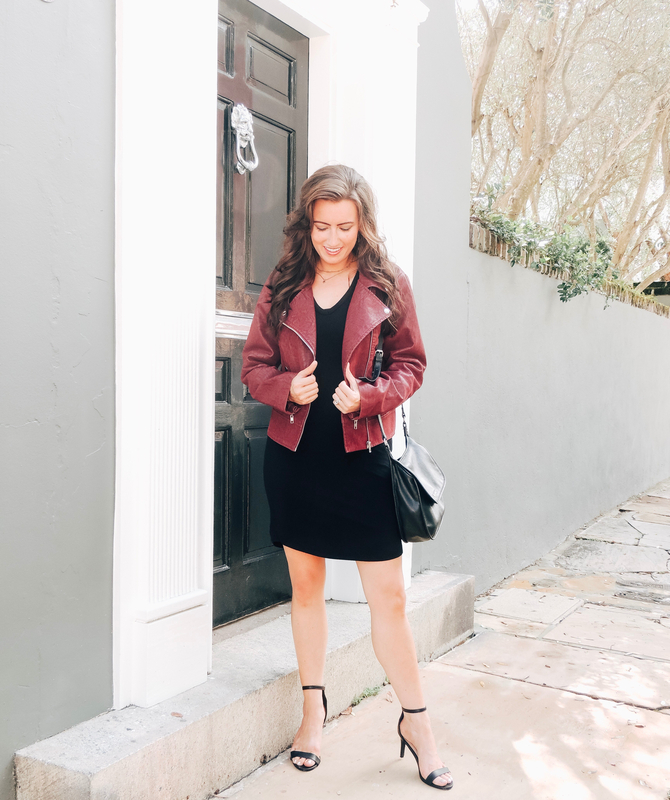 Love this V neck black dress and the burgundy leather jacket. You look beautiful in them. The black dress is very beautiful. Yesterday I saw a skirt of similar style on a website, and the price is very cheap, but I am worried about the quality problem. Can you help me with it, give me some advice? Thank you very much. 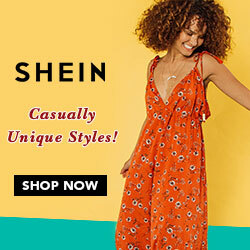 I have ordered several times from this store and have been very happy with their clothes. They also have reviews on most of the clothes that help you decide which size is best for you. I also love this site when I am looking for a nicer dress.